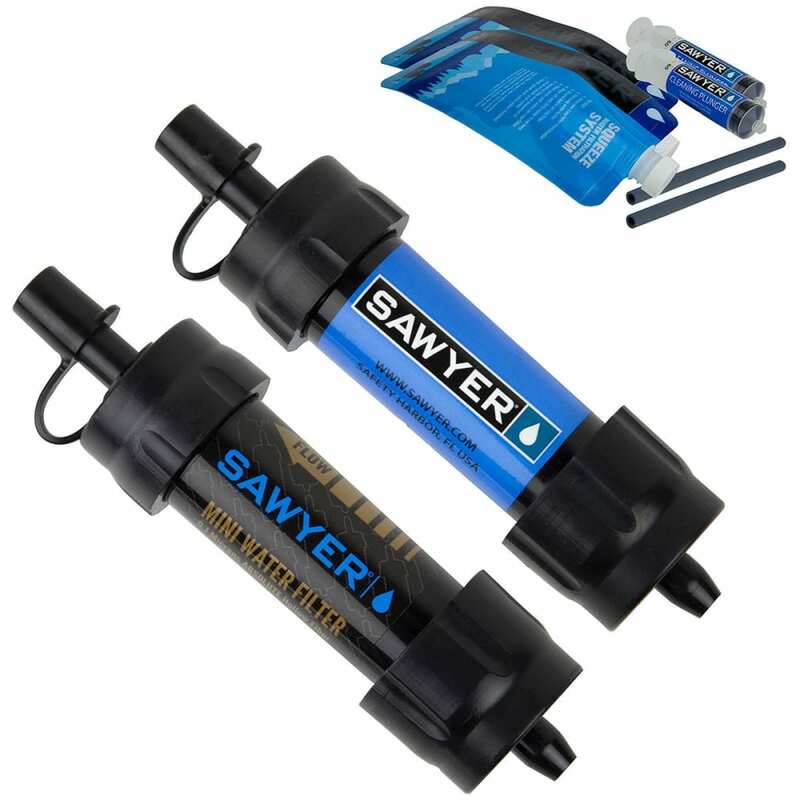 The lightest and most versatile personal filtration system from Sawyer, the Mini Water Filter is a second-generation filter. With a total field weight of 2 ounces, it fits in the palm of your hand. This tiny filter does the same job that the Sawyer PointONE filter does but now in a more compact, personal size. Filtering up to 100,000 gallons of water, this may be the last water filter that you buy. The Sawyer Mini is perfect for everything from camping with the kids to traveling abroad where tap and bottle water cannot be trusted. Ideal for outdoor recreation, hiking, camping, scouting, domestic and international travel, and emergency preparedness. It attaches to the included drinking pouch, standard disposable water bottles, and hydration packs, or use the straw to drink directly from your water source. The filter removes 7 log (99.99999%) of all bacteria (like salmonella), as well as other harmful bacteria that cause cholera, and E. coli, and 6 log (99.9999%) of all protozoa, such as giardia and cryptosporidium. These removal rates equal or exceed other filter options. EPA guidelines allow ten times more protozoa left in the water than Sawyer PointONE filters allow.